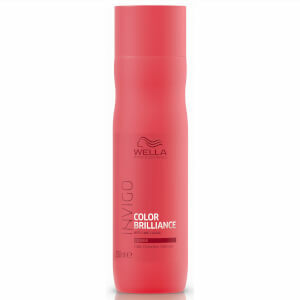 Amplify your colour with the INVIGO Color Brilliance Conditioner for Coarse Hair from Wella Professionals. Infused with nourishing Lime Caviar, the silky formula uses a Copper Encapsulating Molecule to boost and maintain the vibrancy of your shade for up to seven weeks. Antioxidant Shield Technology uses Vitamin E to protect against colour fade, whilst the rich conditioner smooths the hair cuticle for a high-shine finish.